The dance center of the nation is just a bus ride away! In 2017 Jacob’s Pillow launched the Pittsfield-Pillow Express, a free Saturday bus service connecting Jacob’s Pillow in Becket and three Pittsfield neighborhoods. This free service is open to all, but specifically available to families and individuals without access to independent transportation, helping them gain access to the Pillow’s many free and low-cost events and programs. The Jacob’s Pillow Archives document the history of the Festival, School, and the artists who have graced the grounds, with particular emphasis on Ted Shawn, Ted Shawn’s Men Dancers, and the Denishawn Company. The center for the Pillow’s preservation initiatives is located in Blake’s Barn. 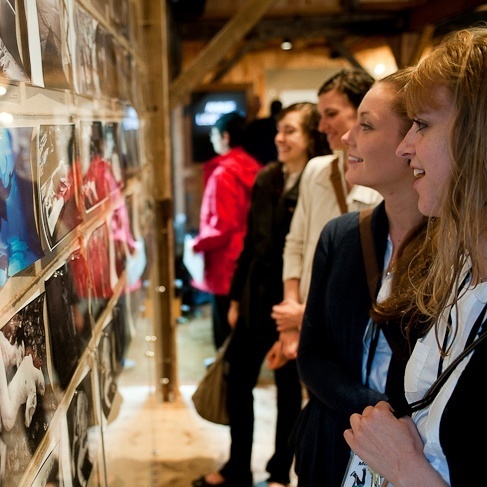 In addition to being a central location for exhibits and lectures, Blake’s Barn also houses the Norton Owen Reading Room, which includes video viewing facilities and collections of photographs, programs, books, costumes, posters, films, audiotapes, and scrapbooks. The facility is open to the general public daily (Wed-Sun noon-final curtain; noon-5pm Mon-Tues). The Pillow also presents diverse exhibits featuring outstanding dance imagery and artwork that enhance the performance experience and celebrate the Pillow’s rich history. All exhibits are free and open to the public throughout the Festival (Open daily noon-final curtain). 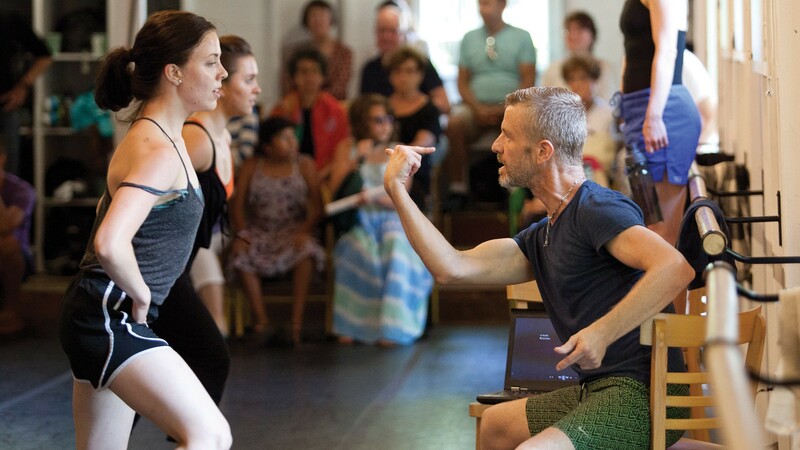 The public is invited to observe dancers of The School at Jacob’s Pillow in classes and rehearsals as they work with world-renowned artist faculty. Schedules are available online and on site. Moderated by Scholars-in-Residence, PillowTalks provide an excellent opportunity to gain behind-the-scenes insight. Hour-long PillowTalks are held Fridays at 5pm & Saturdays at 4pm during the Festival at Blake’s Barn, and are free and open to the public. Learn about the history and legends of Jacob’s Pillow during a free 30-minute guided tour of the National Historic Landmark grounds. 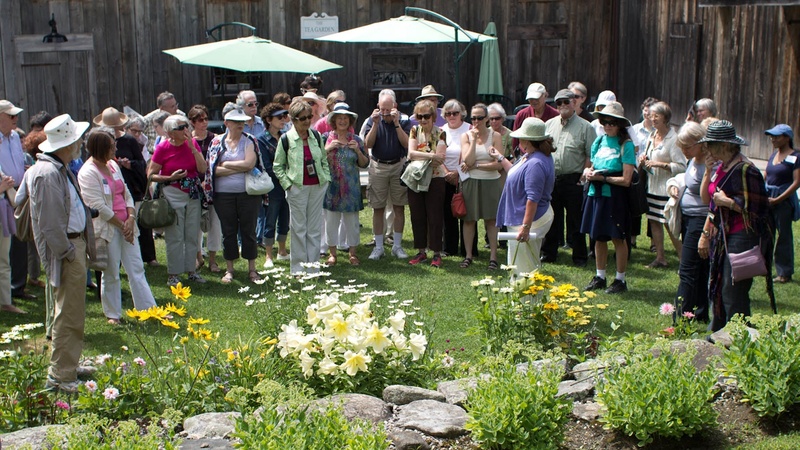 Guided walking tours, led by Jacob’s Pillow staff and interns, start from the Welcome Center. Visitors may also pick up the National Historic Landmark Tour brochure and take a self-guided tour at any time. Bring family and friends of all ages to the Inside/Out Performance Series, offering free outdoor performances by emerging and established dance companies and presentations by dancers of The School at Jacob’s Pillow, every Wednesday through Saturday at 6:15pm during the Festival. Performances feature a variety of styles, including classical ballet, tap, jazz/musical theatre dance, hip-hop, flamenco, traditional Korean dance, India’s Bharatanatyam, and many other genres. Performances are family-friendly and are followed by a brief question and answer session with the audience. 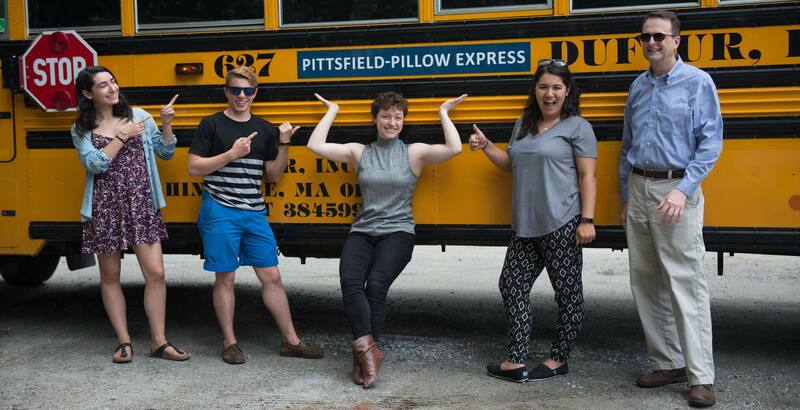 We hope you can join us this summer on the Pittsfield-Pillow Express! The Pittsfield-Pillow Express is made possible by a generous donation from a Trustee of Jacob’s Pillow. Gifts to the Pillow fund year-round community programs produced on-site and throughout Berkshire County providing opportunities for people of all ages to experience dance.